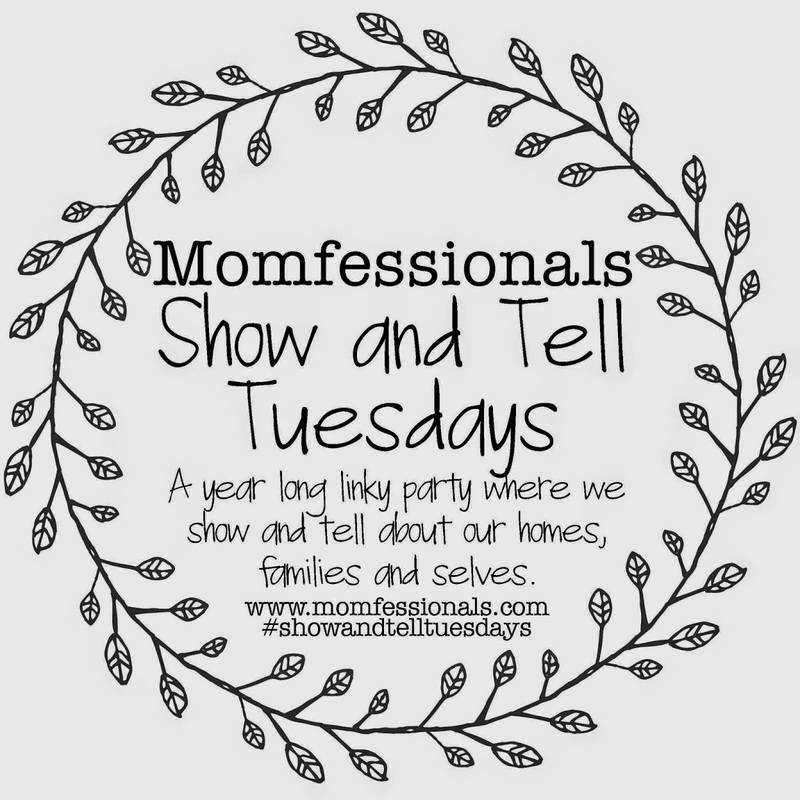 Today's topic is quirks and funny things that make me me! 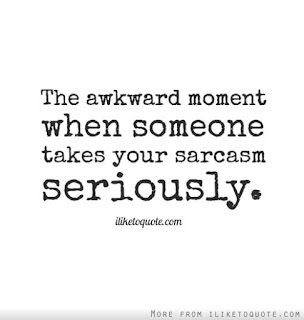 I am sarcastic and have a dry sense of humour. I usually crack jokes under my breath and there are many times when people do not get my sense of humour and it can be awkward. I love correct grammar. I am constantly correcting grammar of people on TV and in person. The two most common things I feel the need to point out are when an adverb should be used, rather than adjective (usually just by adding "ly" to the word), and when "whom" should be used rather than "who". I know this is sort of obnoxious but it's my thing, I am an English major after all. I hate feeling disorganized and caught off guard so I am constantly planning things in my head. 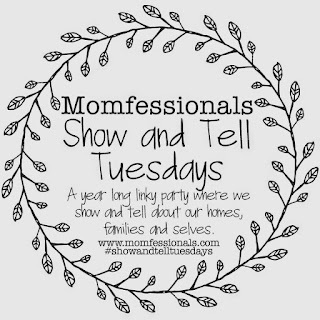 I have multiple lists on my computer and phone or on paper. When I need to make an important phone call, I will write out the conversation beforehand, with a version for when the person picks up, or if I have to leave a voicemail. I love places that run like clockwork like hospitals and funeral homes. I mean, usually you're not there for a good reason, but I like that I feel looked after and I know that the people dealing with me are professionals at their job and get stuff done. I love a good sports montage, particularly if it features slow motion video. The Masters, Wimbledon, playoff Raptors basketball, and the Olympics all have featured great montages. Bonus points if it has a Canadian spin and is set to a Canadian song, see below. I'm not sure why, but people are always asking me random things as if I should know them. I must answer with a certain authority so that they think I am an expert on such things. I should get this saying on a t-shirt. I'm not sure if this gives you a better picture of me or not, but there you go!! I'm okay with bad grammar being spoken but the written word? Not so much. One of my peeves for sure. 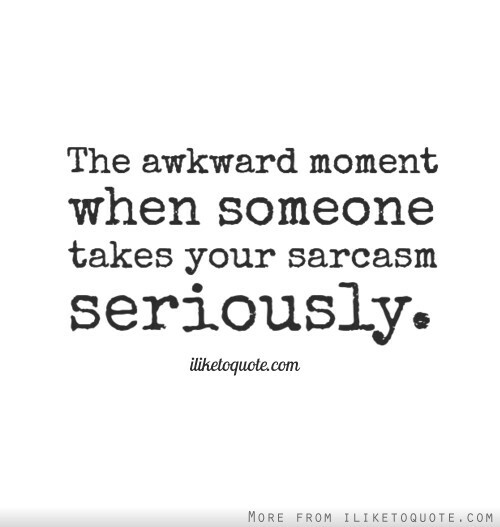 I am very sarcastic as well and sometimes when people don't "get" that, it's so awkward!! I am so with you on speaking correctly. Maybe not so much proper grammar as the proper use of common sayings, such as Pitch Black and Beet Red. It drives me crazy when someone says "I was so embarrassed my face was Pitch Red!". Pitch is tar, and it is black. 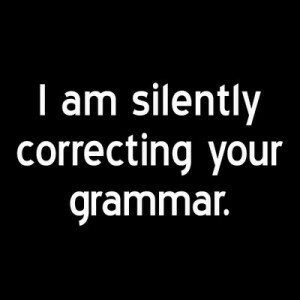 Yes, yes, yes to the correcting of the grammar!